Nikki, a woman in her 30s, had been dating her boyfriend, Michael, for a little over a year when they found out that Nikki was pregnant. The two determined that they would not get married, but both wanted to have the child. Healthy little Zoe was born nine months later to the happy parents and grandparents of the baby girl. 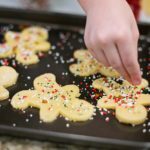 The Holidays and Child Allocation: Who Gets Parenting Time? The holidays are for families to enjoy together, but if you and you partner have divorced and you do not have sole allocation, then parenting time may have been allotted by the court. 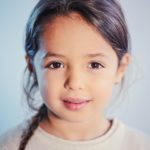 Grandparents and Visitation – Rights or Privileges? This is a frequent question that many families bring to our attention when going through, or shortly after, a divorce. 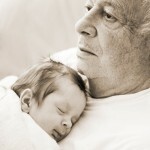 What rights do grandparents have in regards to visitation? Are parents under any obligation to schedule out time for either set of grandparents to see their grandchildren? Unfortunately, the short answer is no – but there are plenty of caveats, with Illinois state code taking much into consideration. In the end, it comes down to the various ways in which the situation is being handled by the parent, as well as the mitigating and aggravating factors involved. After a divorce, one parent is typically designated as the primary residential parent of the children, for purposes such as school district selection and mailing address. This is the parent with whom the children spend the majority of their time. That parent is from that time forward referred to as the “custodial parent.” “Visitation” rights, or the right to spend parenting time with the children, are then granted to the “noncustodial” parent, unless there are reasons for denying or supervising parenting time.